The South Arts State Fellowships and Southern Prize acknowledge, support, and celebrate the highest quality artistic work being created in the American South. The program will be open to individual artists living in the South Arts region: Alabama, Florida, Georgia, Kentucky, Louisiana, Mississippi, North Carolina, South Carolina, and Tennessee. This program is open only to visual artists and will expand to other disciplines in the future. 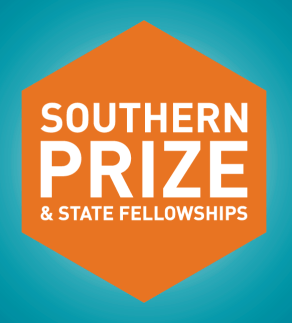 Applications for the 2019 State Fellowships and Southern Prize are now open. The application deadline is December 3, 2018. The South Arts State Fellowship is a state-specific prize awarded to the artists whose work reflects the best of the visual arts in the South. A national jury will select one winner per eligible state, with artistic excellence being the sole criterion. A total of nine fellowships will be awarded. Each will be awarded a $5,000 South Arts State Fellowship, and will compete for one of the two South Arts Prizes. State Fellowship recipients will be required to attend the awards ceremony on April 15, 2019 in Columbia, SC. The nine State Fellowship recipients will compete for the South Arts Southern Prize. The $25,000 Southern Prize will be awarded to the artist whose work exhibits the highest artistic excellence, and one finalist will be awarded a $10,000 Prize, also based on artistic excellence. The Southern Prize winner will also receive a two-week residency at The Hambidge Center for the Creative Arts and Sciences. A separate national jury will convene to evaluate the body of work represented by the nine State Fellowship recipients and select the Prize winner and Finalist. Winners of the South Arts Prize will be announced at the awards ceremony. An exhibition of works by the State Fellowship winners will be open at the historic 701 Whaley in Columbia, South Carolina following the South Arts State Fellowship and Southern Prize awards ceremony on April 15, and will run through May 5, 2019. The exhibit will celebrate the breadth and diversity of the highest quality work being created in the American South, and because the Fellowships are state-specific, work from each of the states within the South Arts region – Alabama, Florida, Georgia, Kentucky, Louisiana, Mississippi, North Carolina, South Carolina and Tennessee will be represented. For more information, contact southernprize@southarts.org or call 404.874.7244 x10.